Associate Professor Belinda Ferrari is the Deputy Head of School and Director of Research at the School of Biotechnology and Biomolecular Sciences, University of New South Wales in Sydney, Australia. 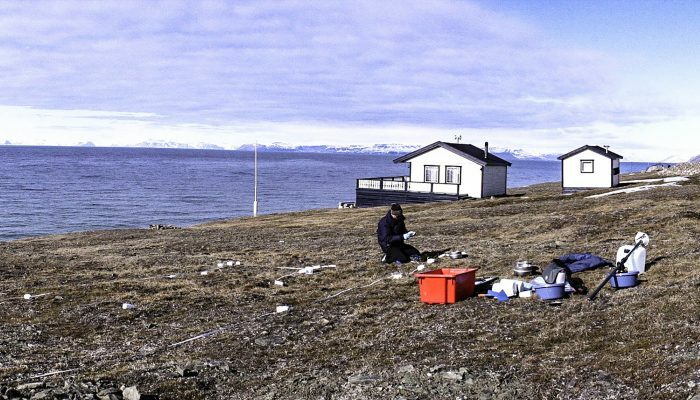 She is an ARC Future Fellow in microbiology, specialising in Antarctic Science, where she combines innovative cultivation methods with next generation sequencing to study soil microbiomes. Her goals are to train the next generation of scientists, and to uncover the survival strategies microbes use to live in unexplored, Antarctic desert soils. Antarctica is the coldest, driest, windiest continent on Earth. The uniquely harsh environments of Antarctica and surrounding islands are home to unique microbial ecologies, which are of interest not only because they are home to new microbes and unique microbial interactions, but also because novel microbial ecologies are a source of new bioactive substances, including antibiotics. The research team at Ferrari Labs, led by Belinda Ferrari, has recently discovered bacteria that were literally surviving by living on air. This finding, published in the prestigious journal Nature is now challenging the understanding of the nutritional limits required to support life. In the future, this may improve our understanding how these air-eating bacteria will respond to human induced and natural change. 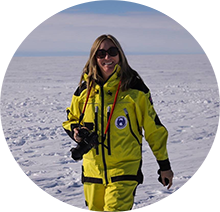 Belinda Ferrari joins us to take us through her team’s exciting research, and her amazing experience on her first scientific expedition to Casey station, east Antarctica earlier this year.